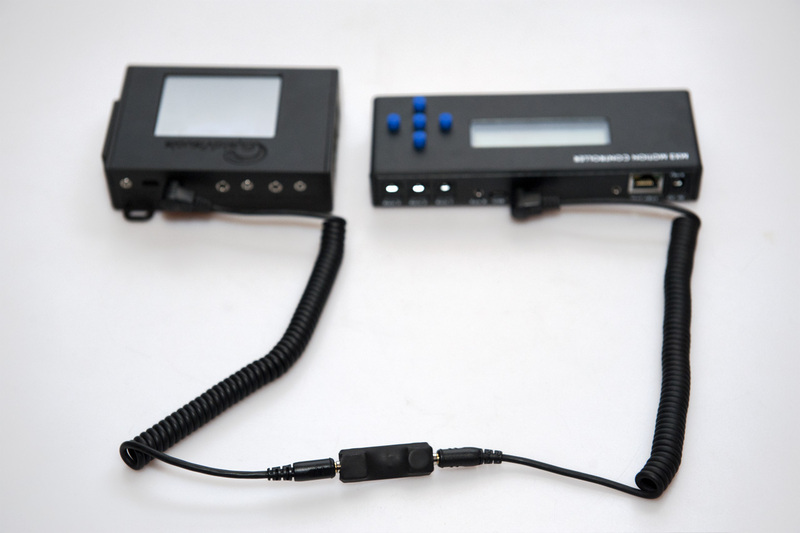 Most time lapse equipment that is currently on the market have I/O connections that you can use to integrate them with other devices. An example is our RamperPro time lapse controller that you can seamlessly integrate with the Dynamic Perception MX3 motion controller or the eMotimo TB3 black pan/tilt head. That way the RamperPro can fully control your camera while the MX3 or TB3 can be used for motion control. Many people just hardwire the I/O connections of various devices to each other. This can result in a full melt-down of your electronics because the MX2 or TB3 expect an external switch and not an electronic connection. Just connect this ElysiaVisuals I/O isolator between the two devices that you want to integrate and you are fine. Connect the input side to the device who is master (for example the RamperPro) and connect the output side to the slave device (for example the MX3). This optically isolates the two devices from each other. This way the isolator acts like a switch just like the MX3 and TB3 are expecting.